Most people say they give to charity not just out of the goodness of their hearts, but because it makes them feel good. They go, they give, they participate, then they go about their lives. 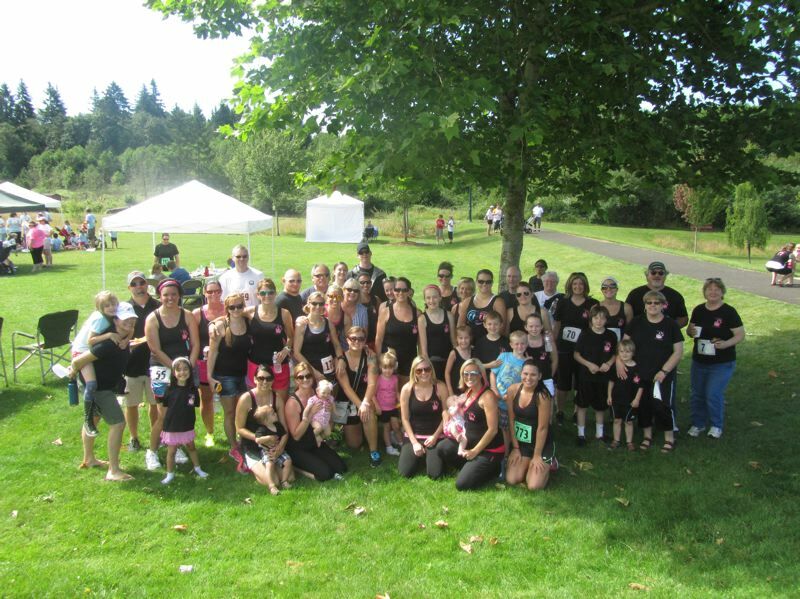 Noah's Quest, a 5K and 10K walk/run organized by Sandy city events coordinator Carol Cohen, is not just a walk in the park. It's about healing. The walk was started in honor of Cohen's son Noah, who was stillborn. 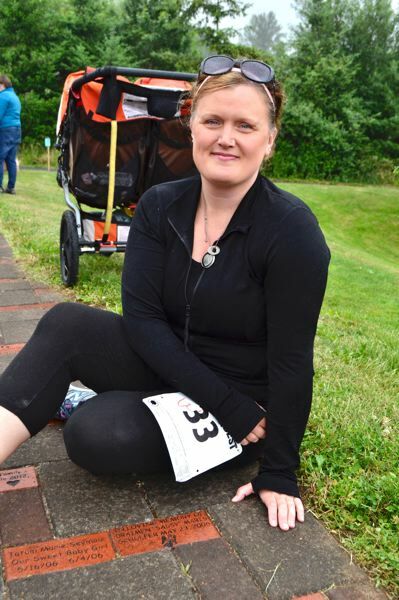 In an effort to let others like her know they had a community of support, and raise money for groups like Brief Encounters, a Portland-based nonprofit organization that offers counseling to parents grieving the loss of a child. Many of those who come out to the annual event at Sandy Bluff Park are parents who have lost children, either at birth, to miscarriage or from health complications in their first year. Sandy native Kari Schulfer is a 13-year veteran of the event. 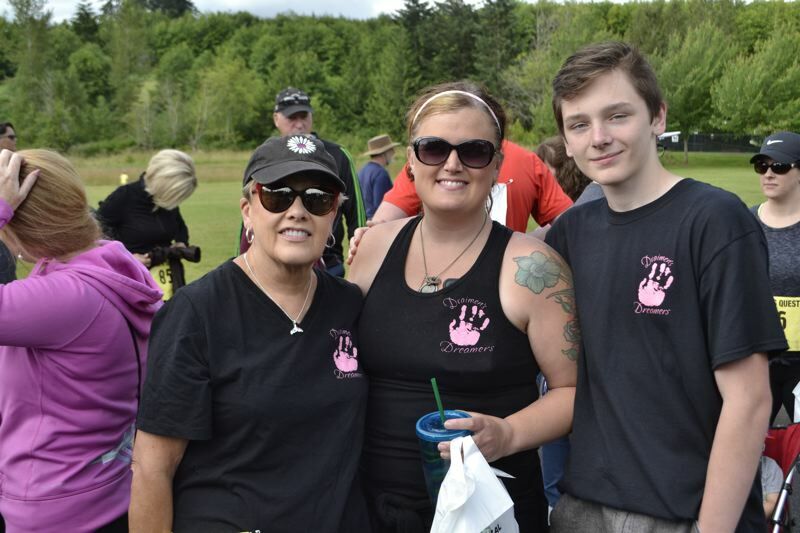 She's participated in every 5K walk since its inception only four weeks after she lost her daughter. 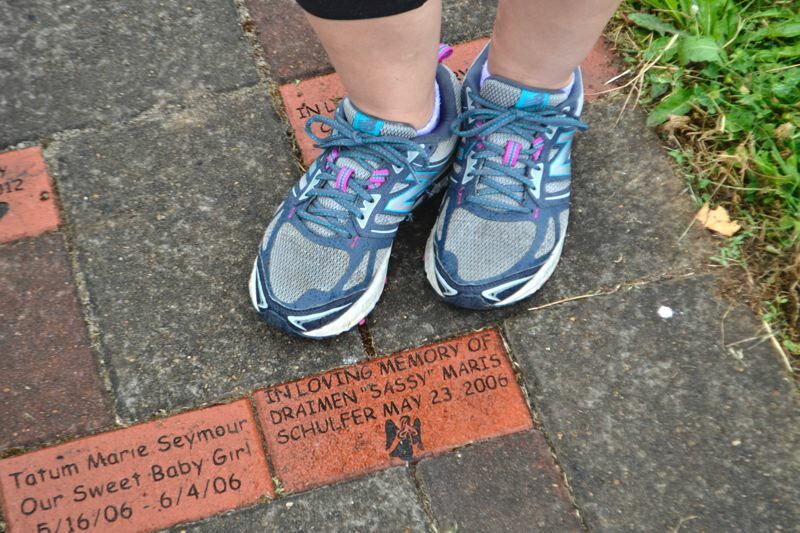 Draimen "Sassy" Maris Schulfer was delivered on May 23, 2006, at 34 weeks, stillborn. Kari still feels that loss today. "We had just moved to Sandy and literally had just finished my daughter's room and two days later I'm in the hospital," Kari explained. "I was in that crazy grief (after), in a new house, new neighborhood. A mutual friend mentioned her friend (Carol) had lost her son in the fall and was starting a walk." Kari didn't leave her house for weeks. Her loss consumed her. Noah's Quest is what brought her back. "I really feel the event saved my life," Kari said. "It was pretty much the first time I left the house, four weeks after. It really helps to know you aren't alone even though it really stinks. We always joke, 'I wish I'd never met you under these circumstances, but since we can't change the circumstances, I'm glad I have.'" Returning to work as a teacher in fall 2006 was a very anxious time for Kari. She worried about the questions she might receive. She had left the school year pregnant, and was returning without a new baby to brag about. But she persisted, and soon after found out she was pregnant again. 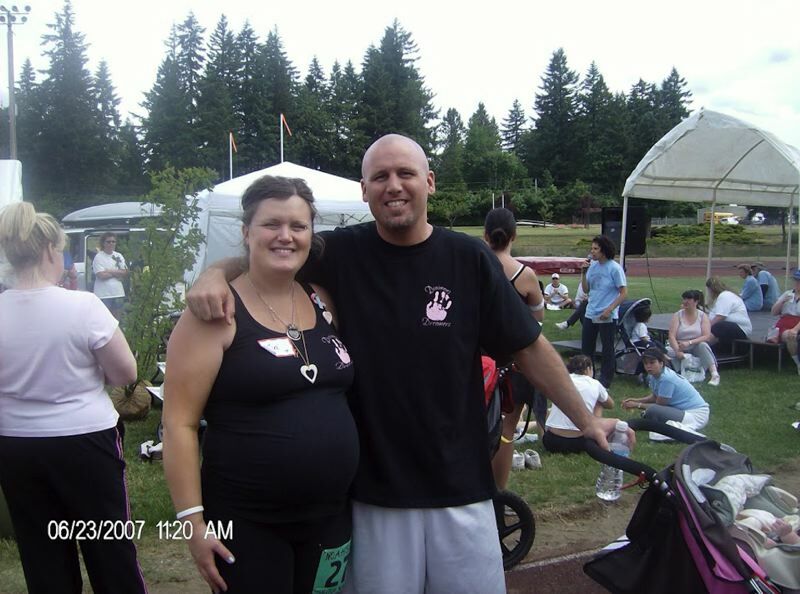 Kari walked in the 2007 Noah's Quest eight months pregnant, and four days later, almost a year after Draimen's due date, the Schulfers welcomed Vedder into their family. "(The walk) might have been what moved things along," Kari joked. Kari said she had picked out a song for Draimen when she was pregnant with her — "Black" by Pearl Jam. The lyrics — "I know someday you'll have a beautiful life; I know you'll be a star in somebody else's sky, but why; Why, why can't it be, why can't it be mine?" — really struck a chord with the family. That song came on Kari's playlist while she was in labor with Vedder, and Kari felt that her daughter was watching. "You don't get over it," Kari noted. "You don't get over grief. It's not the flu. You just learn to live with it. Life will never be the same, but I don't want it to go back to the way it was because that's sort of not honoring my daughter." 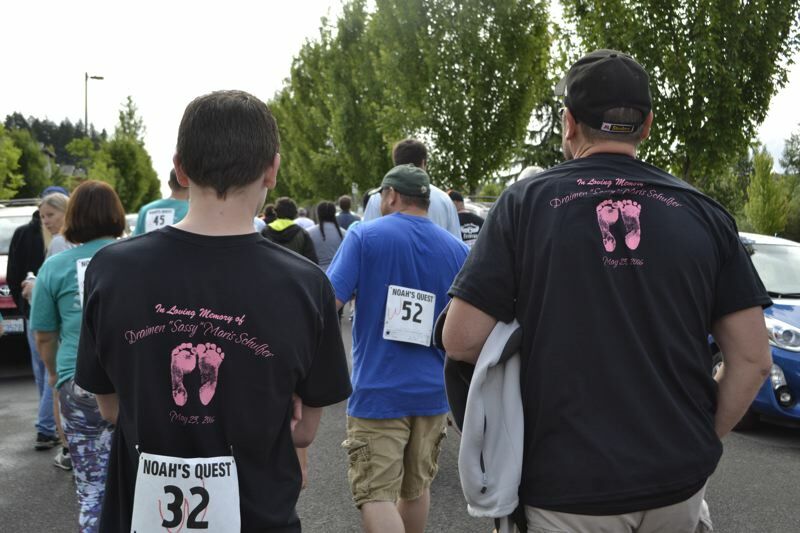 Kari's mother Susan Campbell has walked Noah's Quest with her daughter every year. "As a mother, you hurt for your daughter and for the granddaughter you lost," Susan said. "But, there's really nothing you can do about it but be there." So she has been there, for 12 years. Campbell said it was pleasant that her retirement and Vedder's birth coincided and she was able to be a "stay-at-home grandma." "I also have to say Matt was wonderful throughout the whole thing," Campbell added. "It hit him just as hard as it hit her. He always made sure she was OK first." Unfortunately, new people join the event every year — new parents experiencing new loss. It's the kind of community nobody wants to exist, but everybody feels comforted by to have. And it's not just parents. Friends, family members, supportive citizens, all come and walk or run alongside those grieving in an act of solidarity and recognition of their loss. Kari's support team is called Draimen's Dreamers. On any given year, the dreamers consists of anywhere from 10 to 50 people. "It's pretty powerful to see all the people there," Kari noted. Lauren Oman, a friend of Kari's, joined the event six years ago. Besides wanting to support Kari, Lauren had two babies of her own to remember. Unlike Kari, Lauren has never had a pregnancy go to term. She lost her son Zane at 20 weeks as a stillborn in 2011 and her daughter Khaleesi at 14 weeks to a miscarriage in 2013. "(This walk) does help," Lauren said. "When you lose a child you think you're the only one. (Having a community) doesn't necessarily make (the loss) easier, but it reminds you you're not alone." Lauren just finished undergoing radiation for thyroid cancer earlier this year, so she has to wait another year before she can even try to get pregnant again. After losing two children, Lauren said she's happy to have friends with children to spoil and just wait and see if she'll have the joy of being a mother one day herself. "I don't know if it will happen," Lauren noted. "If it does it does. If it doesn't it doesn't. If not I still have the memories of them. Obviously I'll never forget about them. You never get over it, but you learn to deal with the loss."